What are Risk Assessments ? The law does not expect you to eliminate all Risk but YOU are required to protect people so far as is “reasonably practicable”. 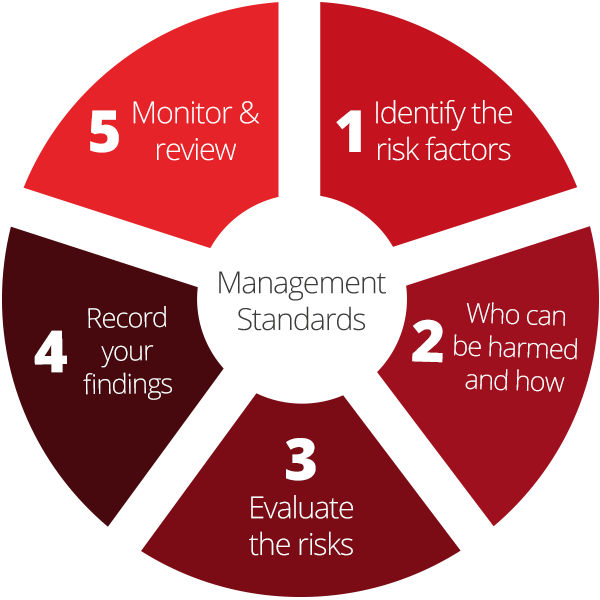 The 5 Steps in assessing risks in your workplace are…. What are RAMS Risk Assessment Method Statements? A work Method Statement sometimes called a “Safe System of Work” is a document that details the way a work task or process is to be completed. The Method Statement should outline the hazards involved and detail a step by step guide on how to do the job safely, it will also detail which “control measures” are to be introduced to ensure the safety of everyone who is affected by the task or work process. At SSS we know the importance of preparing and implementing risk assessments and method statements, accidents and ill health can ruin lives and affect businesses if output is lost, machinery can be damaged, insurance costs could possibly increase and worst still the Health and Safety Executive prosecute which ultimately leads to escalating legal costs and the companies reputation damaged. As a company you are legally required to assess the risks in your workplace so preventative measures are put into place to control the risks. We can evaluate all the companies risks and work with you in the preparation and implementation the necessary risk assessment / method statements (RAMS) within your business.